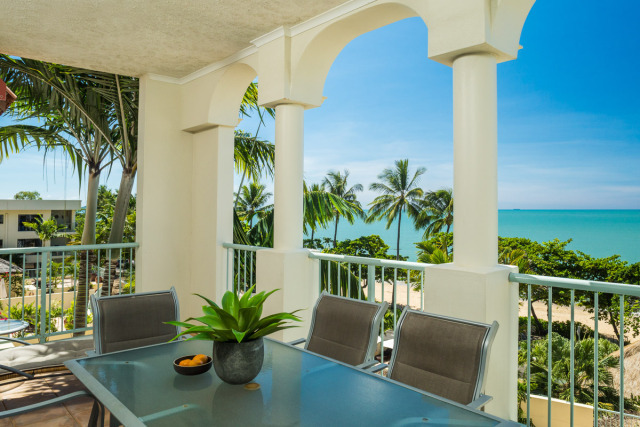 SEA CHANGE BEACHFRONT APARTMENTS are luxury 5 star holiday apartments located at beautiful Trinity Beach, north of Cairns, with excellent rates that represent great value; the perfect location for a beachside holiday. 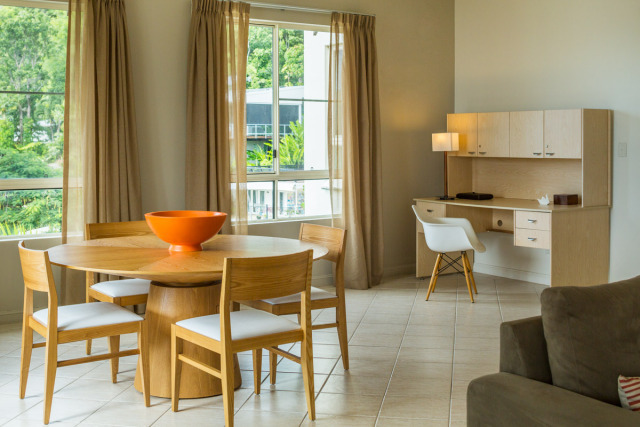 Apartments are all serviced weekly (or by arrangement) and all linen is supplied. One Bedroom Apartment: Sleeps 2 people with 1 King bed or 2 single beds. 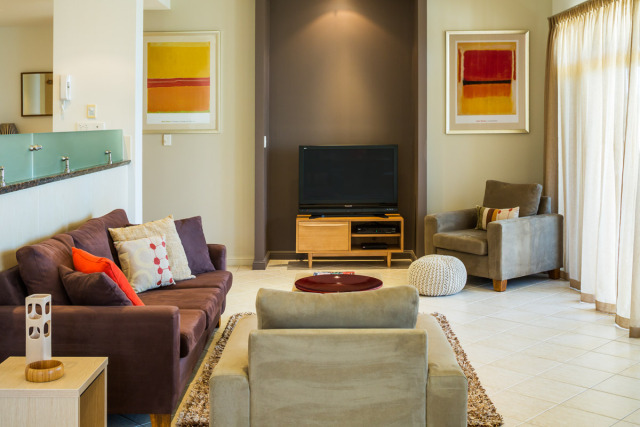 Two Bedroom Apartment: Sleeps 4 people with Choice of 1 King bed & 2 single beds, OR 1 King bed & 1 Queen bed. Three Bedroom Apartment: Sleeps 6 people with either 3 King beds, or 1 King and 4 singles and various other configurations to suit your needs. 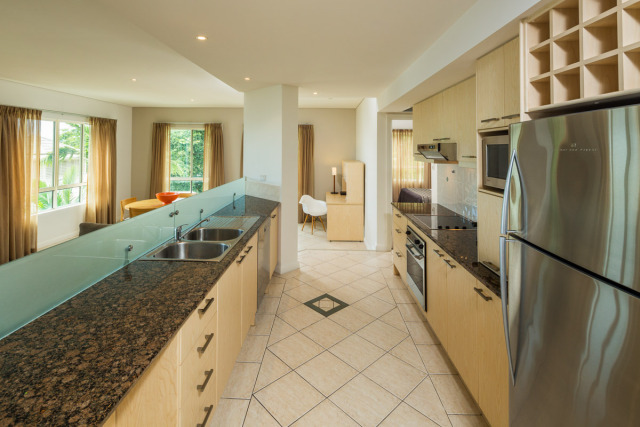 Four Bedroom Apartment: Sleeps 8 people with 1 King, 1 Queen and 4 x Single Beds. 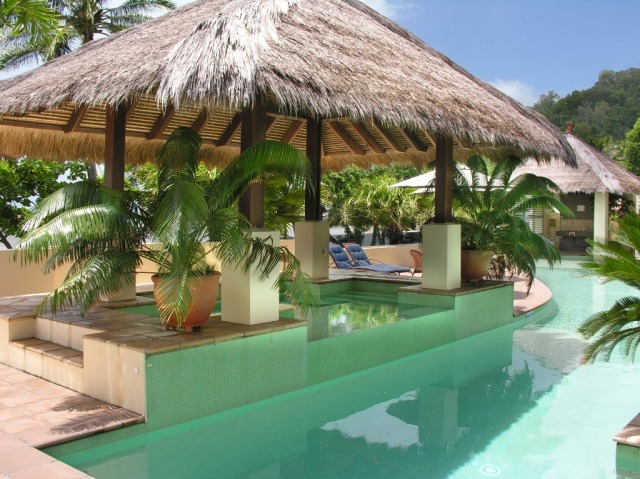 The four bedroom apartment is on the ground level and is only steps from the pool. 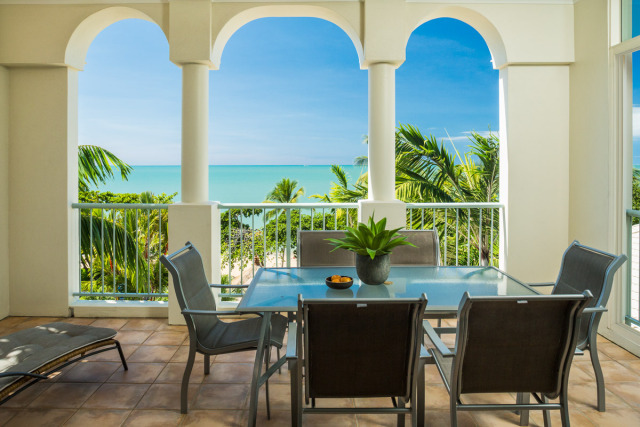 Sea Change occupies a quiet beachfront location that is a mere 10 metres away from idyllic Trinity Beach. 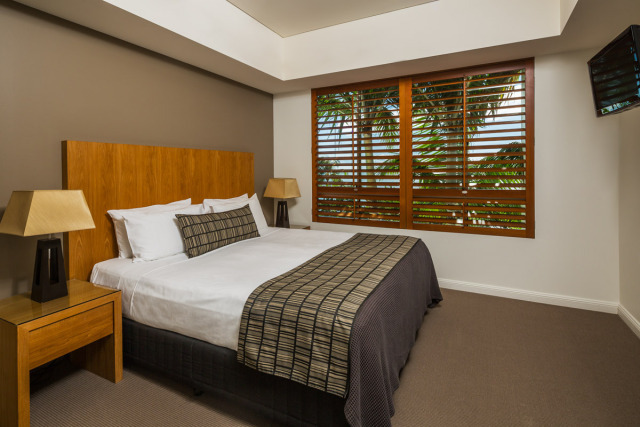 Sea Change is also a short stroll away from cafes, shops, and restaurants, and a 15 minute drive from Cairns airport. 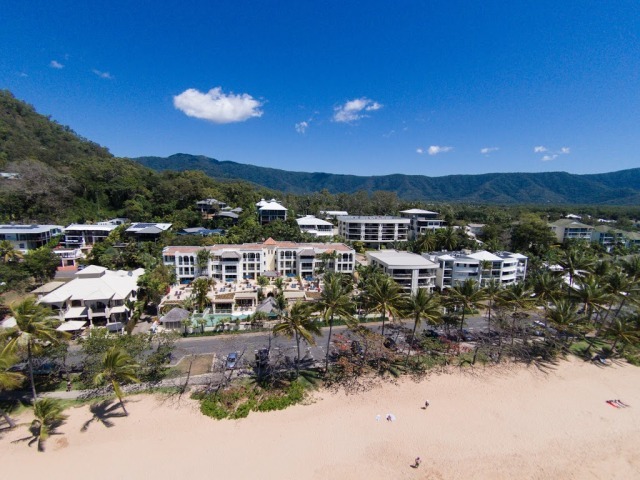 Trinity Beach is nestled within a cove, fringed with palms with walking tracks, a rocky point, year-round swimming and is locally known as Cairns' favourite beach. There are plenty of dining choices within easy walking distance of Sea Change. 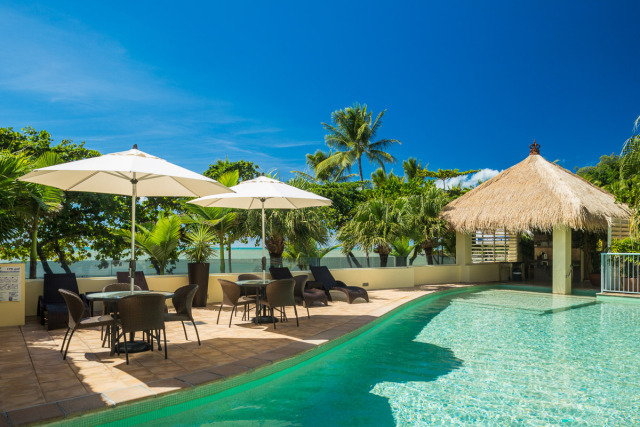 Ranging from Italian, Modern Australian, Thai, Pizzerias, and the large tavern at the northern end of the beach with a sports bar and gaming room. The restaurants are all relaxed and friendly in keeping with the beachside local charm that has made Trinity Beach a favourite with the locals. 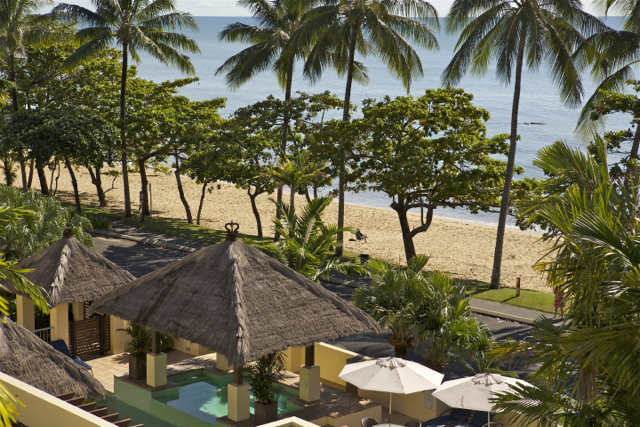 Stays for 4 nights and receive a FREE CAR for your stay when booking the Car Special Rate. Offer includes a 4 seater air-conditioned automatic Getz for the duration of your stay at no cost to guests (starting at 10:00am on the 2nd day of your holiday). The car use needs to be confirmed when we confirm your accommodation booking to secure car availability. Please note the Car is subject to availability and cannot be guaranteed until your booking is confirmed by travstar.com. Car offer not included in other specials or on the 4 Bedroom. * No credit card imprint required. Car's maximum occupancy is 4 persons. 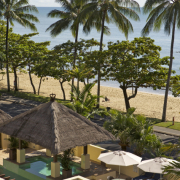 Trinity Beach is located just 18 km from Cairns in the renowned Great Barrier Reef region of Tropical North Queensland, Australia, nestled between an idyllic coconut palm fringed beach and lush, tropical rainforests. We had a group of 8 and the 4 bedroom apartment was just perfect. Well laid out, very clean and comfortable. The pool area was great for both adults and kids. Only complaint was that it closed at 8 pm which we thought was a bit early 9 pm would have been better. 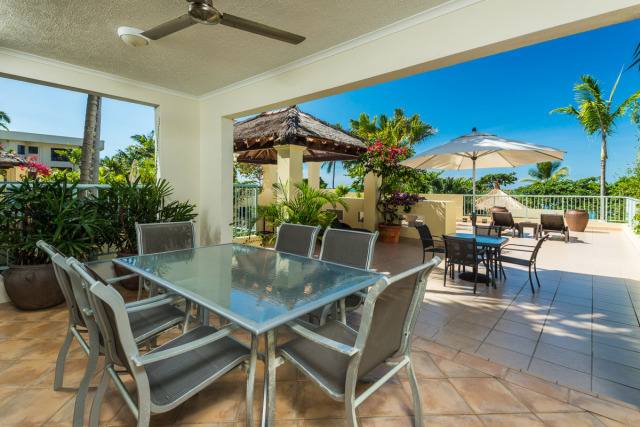 Excellent location to the beach stinger net and walking distance to great restaurants. Would definitely recommend Sea Change at Trinity Beach very highly!!! We as a party of 15 found Sea Change an absolute pleasure, we will definitely stay there again, staff were very helpful and friendly. I miss the view everyday. The apartments were spotless, with everything at your finger tips. When we next go to FNQ we will consider going back to Seachange Apartments. The position and ease of access to all the local amenities is second to none. Very secure and Rebecca was very helpful. We will certainly be going back as we loved it. The 3 bedroom apartment/ roof terrace weas massive. Everything you could think of was provided and of good quality. We will certainly be going back as we loved it. We had such an awesome Holiday, I would recommend Sea Change to anyone it was clean with big rooms. We stayed in a 2 bedroom with rooftop barbie the terrace was huge.Staff were really helpful and booked our day trips for us. Trinity beach was nice and quiet it was like staying on an Island. I would recommend to people to get a rental car, Cruising rentals were really good and very helpful. There is a local bus but the trip to anywhere takes for ever. Extremely happy with our accommodation at Sea Change. We were extremely happy with our accommodation at Sea Change. The only criticism we have, and it is not really a criticism, is that we would have liked to have our own BBQ on the balcony. We loved our week at Sea Change! We loved our week at Sea Change! 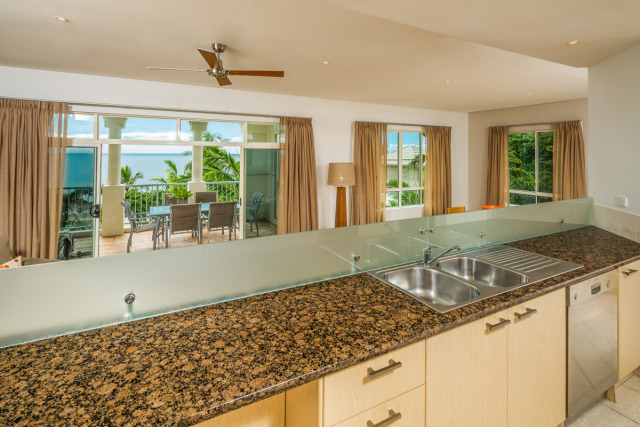 The facilities are kept spotless, Simon and Rebecca were extremely helpful and most importantly, our family had a relaxing and fun fun fun holiday! Thanks so much for recommending Sea Change to us - it was wonderful! The apartments are just as excellent as they were on my last visit 5 years ago. Just lovely! Quality of Facilities: Excellent..and then some! The first portion of my 'Big' Lotto win, (whenever it comes) will go on buying Apartment 17 at Sea Change, whoever owns it will be able to ask his own price! 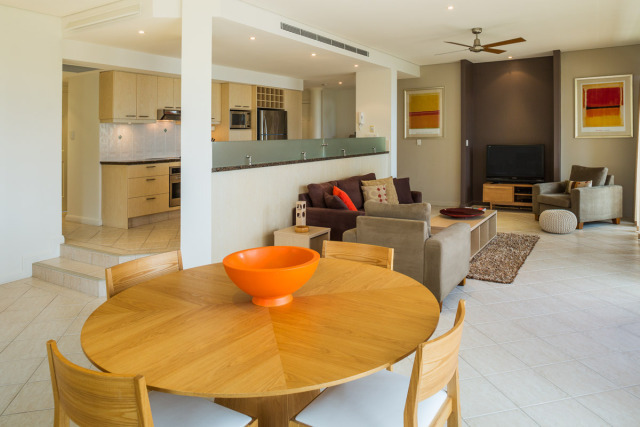 Our week in Apartment 17 provided us with a luxurious base to enjoy everything that makes Tropical North Queensland such a fabulous tourist destination. The facilities at Sea Change are top-notch, the free hire-car an added bonus and Rebecca and Simon, the 'front of house' staff at Reception the epitome of what customer-service is, or at least should be, all about. Sea Change is flawless and everything it says it is in the brochures. I can just visualise opening the sliding door out on to the sun-deck and hearing the sound of the gentle swell now, oh, and did I mention the view over the ocean? 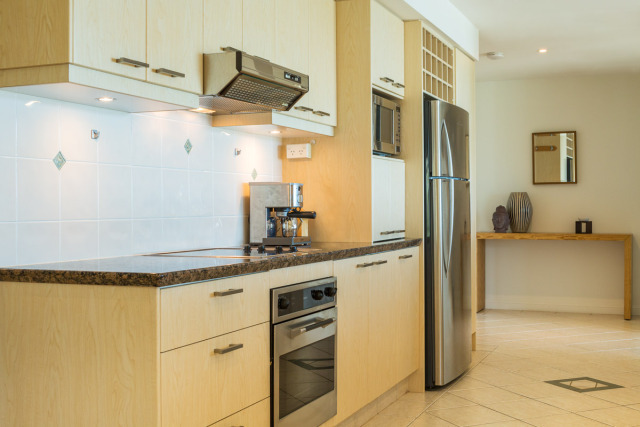 Huge apartment, and very well stocked amenity wise. Loved it. A top quality facility with very nice staff. We enjoyed our stay. 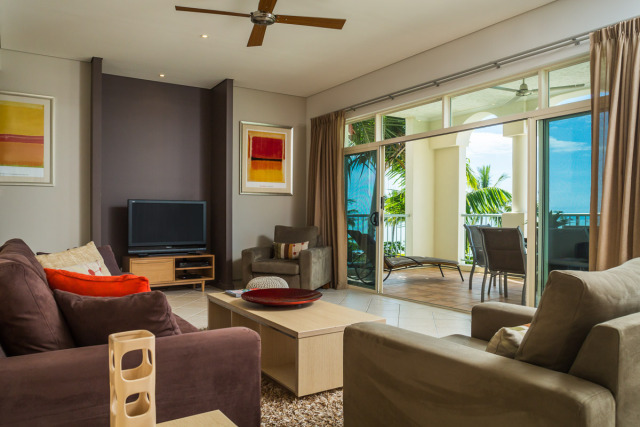 Beautiful apartments opposite a gorgeous beach lined with luscious gardens. The pool is beautiful (although a little cool in Winter). Helpful staff booked our needs and it was great to have a car for a couple of the days there too. Our stay was most enjoyable. 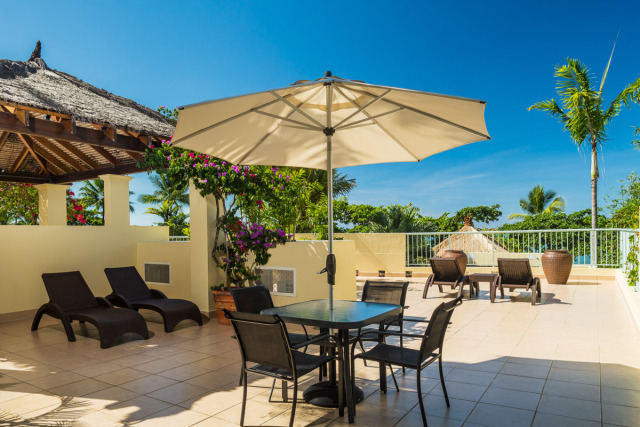 The apartment was fantastic value, views from the balcony was lovely we got some great photos of the sunrise over the beach and we loved the \\\"ShopForMe\\\" service. 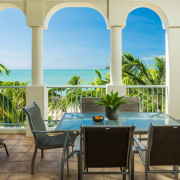 really really lovely apartment and trinity beach was a great recommendation by the travstar staff. An enjoyable stay all round. An enjoyable stay all round. The kitchen in the apartment was the best equipped I have ever stayed in. Wanted for nothing. The roof deck was terrific and having our own BBQ was great too. Would recommend it to any age group. Good location and friendly helpfull staff. Great location, fantastic facilities - beautiful holiday. Everything was just fabulous and we certainly plan to return. The apartments are lovely - and very comfortable. The hospitality was friendly. The facilties were very pleasant and the information about trips and contacts very helpful We loved our stay. We were very pleased with the facilities at Sea Change. They were outstanding and Rebecca in the office is most helpful. She put us on to some terrific tours. We would certainly go there again. We would have enjoyed using the outdoor spa if it had been heated. The unit was very nice and the view fabulous. Travstar was such a great help, everything was done so promptly. Nothing was too much trouble and l will definatley book through them again. Sea Change Beachfront Apartments absolutely great - highly recommend the roof garden with barbecue. 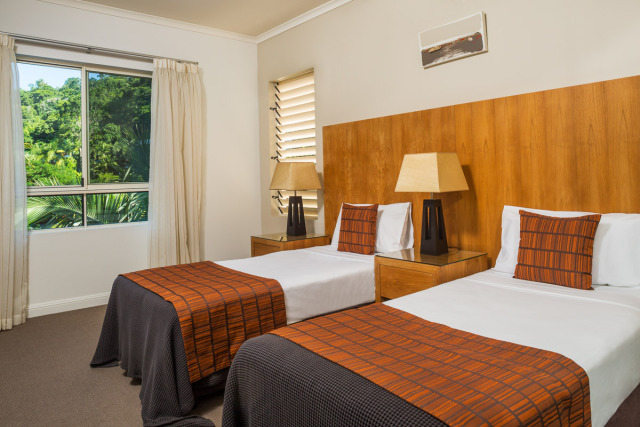 Hire a car on arrival at Cairns. Twenty minute drive time to apartments. Paradise setting most satisfactory break. Thanks to the Team @ Travstar for your assistance with my enquiries & selections. Thanks to Seachange the accomodations was tops & a fantastic location also. We were delighted with our apartment, & were lucky to get an upgrade to one which had a terrace. The apartment was well equipped and well furnished. 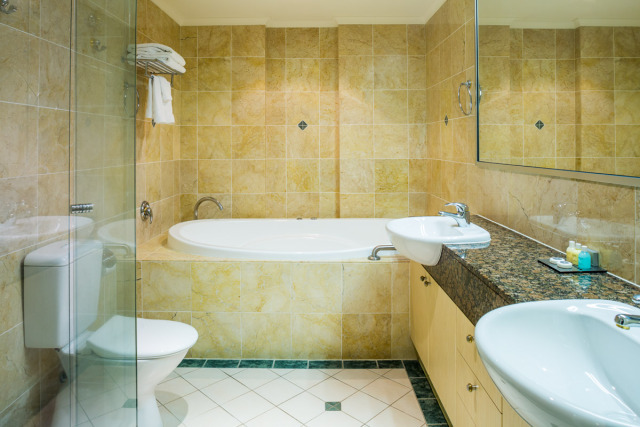 The only negative was access to the spa bath/shower in the ensuite,which was too high (& dangerous) for my elderly mother to negotiate, & I would not have used it either. Okay if you are young & athletic, I guess! Overall, a positive experience. With a party such as ours it was essential that our stay met a number of criteria. Not only was the accomodation clean, well laid out and superbly situated, but the facilites were of a very high standard. The manager, Simon, ensured that we went on the best trips and that we were looked after on those trips. 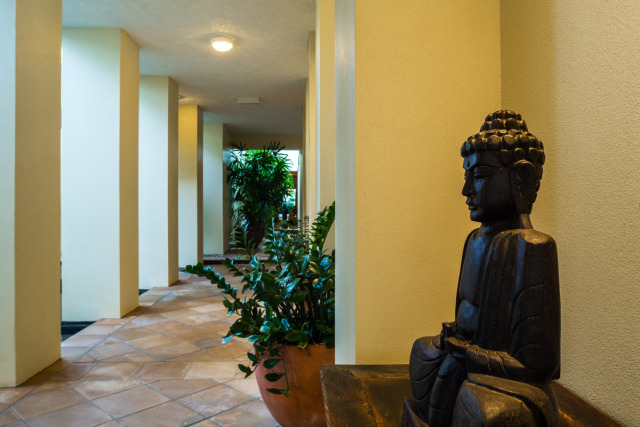 The appartments are quiet, idyllic and give the tropical paradise feel. I have already recommended Sea Change to many of my friends in the Uk and Australia. If we are ever back in Cairns we will be staying there again. Sea Change is a wonderful accomodation. We loved every minute we were there. We felt that our every need was anticipated. The apartment was spacious, nicely decorated and very clean. The beds were comfortable. I slept so well!! And what a location! The views were spectacular. Walks on the beach were delighful. And local fish n chips weren't bad either. Thanks! We'll be back as soon as we can! And we'll certainly recommend it to fellow travellers. I am feeling you will have a few new bookings from this end of the country, judging from the reactions my photos have received. 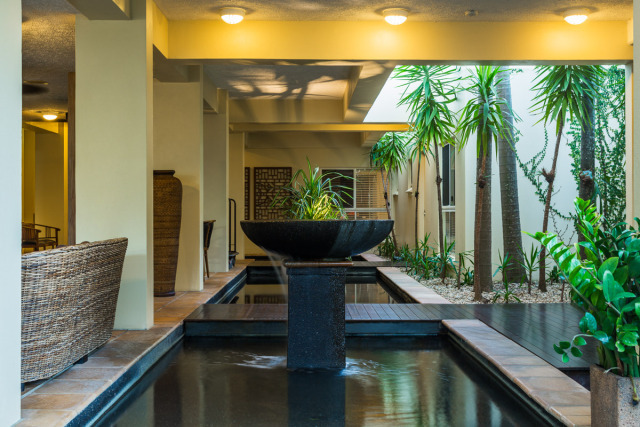 A Stunning Complex in an Awesome location run by Professionals; a real Jewel for Tourism in Far North Queensland. Just a note to let you know that we have all returned from Australia and are settling back into work and school respectively. We all really enjoyed our two weeks at sea change. The apartments, surroundings and hospitality were beyond belief. 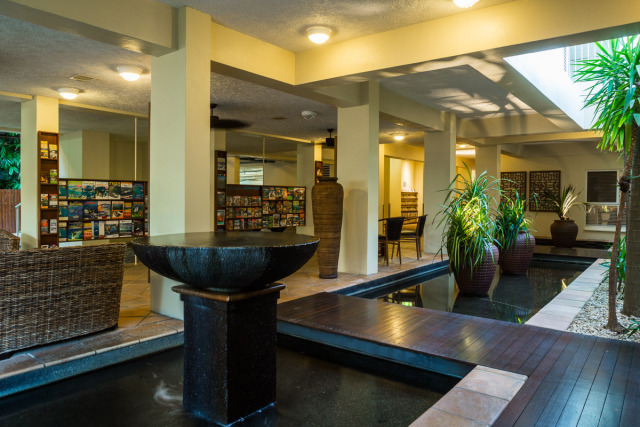 You personally made us feel extremely welcome and valued guests, overall it is an experience we shall never forget. We could never speak too highly about the service you offer and will recommend sea change to anyone who wants the holiday of a lifetime in Australia. Happy new year and once again thanks. I would just like to say that we had a fantastic time on our recent stay at Sea Change. It was a desperately needed break from our place. The Apartment we stayed in, as well as all the property surrounds were excellent, very much a setting to relax in. There is still so much more we would like to see and do, not forgetting to have time to relax, that we will definitely be coming back for a return visit. A short note to thank you for facilitating a most relaxing 10 day break for the family at Sea Change. Sea Change`s location and vistas from the deck were stunning in quite intimate and beautiful surrounds. An almost total absence of traffic adjoining the beachfront adds to the appeal of Sea Change. The building architecturally has a particular appeal. 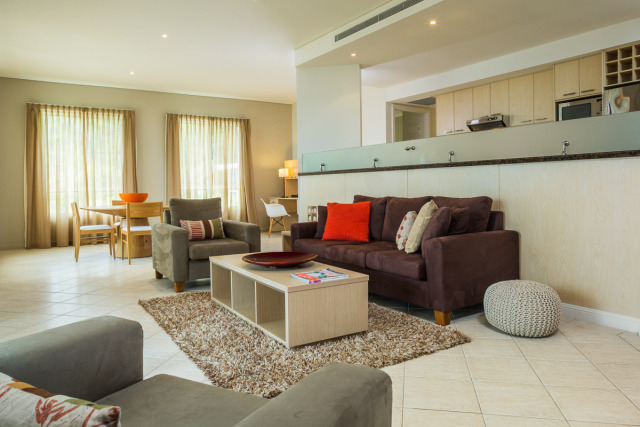 Our two bedroom apartment was spacious, inviting, well designed, private and spotlessly clean. Your ease of organisation of tours and cars at Sea Change enriched our stay. Presentation of the pool , deck and surrounds was first class. Your Sea Change complex has much to offer, due in no small part to your managerial capacity. We plan to return! We did not come across you before we left but we could not experience the joys of our holidays without a very sincere thank you to you personally and through you to all the others at Trinity. All members of the family from the septuagenarian to the toddler had a most beautiful time together. The apartment more than lived up to its 5 star boast. You and the other members of the seachange personnel were delightful hosts. We could not have had a better time together. From all of us, thanks to all of you. Just a short note of thanks for making our stay over the past 12 days, the best. 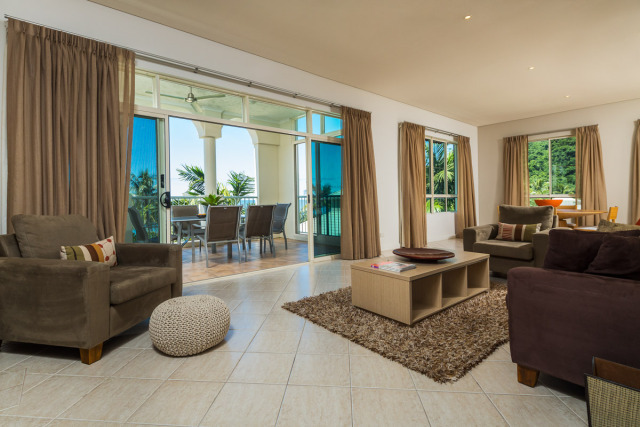 The apartments are superb and Trinity Beach equals any other apartment/resort along the coast. Your assistance in selecting the correct tours (and days to go) were spot on. Again, thanks and when we are next in the area, we will be sure to stay with you again. Sea Change was wonderful - superb excellent standard and views - though Trinity Beach could do with a shop! there's only 3 restaurants and 1 tiny swimwear boutique but otherwise very relaxing. We are back from our travels and would just like to thank you both for a wonderful stay at Seachange which certainly were everything that your website claimed and more. 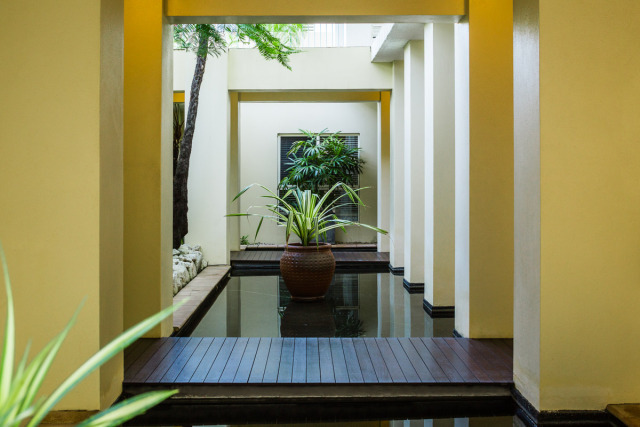 We were all so comfortable there that we really did not want to leave for our next destination, Bangkok, and wish we hadn`t as the accommodation and indeed the place did not match our expectations. Thank you also, Simon, for recommending the Cape Tribulation trip, which was fantastic. I don`t know when we might visit again, but we will certainly be coming back to Seachange when we do, meanwhile I will be recommending you to any clients that visit the area.